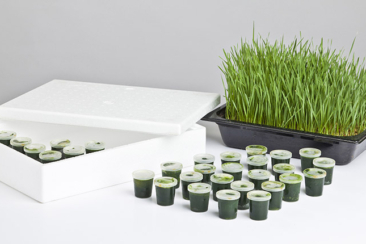 Who can benefit from using wheatgrass? Anyone. Whether you’re overweight or underweight, have a tendency towards anaemia, or are afraid of cancer. The fresh juice of young wheat plants is a storehouse of natural vitamins, minerals, chlorophyll, enzymes and life energy. It can help for cleansing and healing your body, improving your diet and appearance and preventing illness.